The proposed merger of Jaguar Animal Health (NASDAQ:JAGX) and closely-held Napo Pharmaceuticals is expected to create a combined company with prescription product revenue, potential line extensions and an expanded pipeline. “We are confident that this merger will enable both companies, through a joint management team, to access efficiencies and enhance potential value creation,” Lisa Conte, Napo’s interim CEO and Jaguar's president and CEO, says in an interview with BioTuesdays. Under the accord, which was unveiled on Feb. 8, Jaguar would be the surviving company, with Napo, which currently owns 19% of Jaguar, operating as a wholly-owned subsidiary. “The merger would be a transformative event, combining Napo’s FDA-approved Mytesi product indicated for the symptomatic relief of non-infectious diarrhea in adults with HIV/AIDS on antiretroviral therapy, and Jaguar’s key lead products under development for animal health,” she adds. In addition to centralized management, Ms. Conte points out that the combined company would have manufacturing economies of scale, R&D synergies and a common messaging in commercialization. 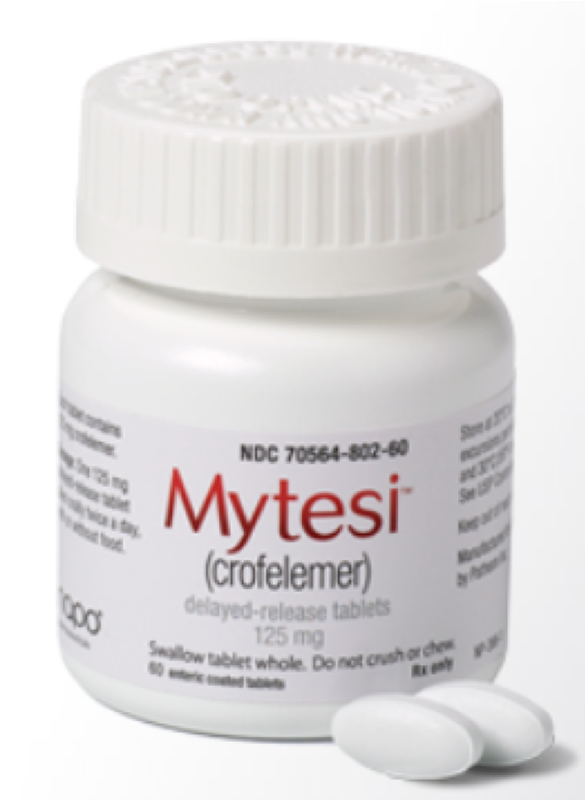 Ms. Conte explains that the active pharmaceutical ingredient in Mytesi is crofelemer, which is derived from the sap of the South American tree, Croton lechleri. Crofelemer is also the active pharmaceutical ingredient in Canalevia, Jaguar’s lead prescription drug candidate for companion animals, which is being evaluated for treatment of acute diarrhea and chemotherapy-induced diarrhea (CID) in dogs and is the subject of a recent collaboration with Elanco US, a subsidiary of Eli Lilly. “Because Mytesi and Canalevia share the same formulation, risks related to the chemistry, manufacturing, and controls sections of Jaguar’s New Animal Drug Applications for Canalevia and commercial supply chain readiness are mitigated,” she adds. Napo launched Mytesi last October, and in the second quarter of this year it plans to deploy eight field sales reps combined with telesales to promote Mytesi to top antiretroviral therapy-prescribing doctors in the U.S. The company forecasts Mytesi will generate about $7-million in net sales this year. More than 50% of the HIV/AIDS population in the U.S. have been living with the virus in their gut for more than 10 years, a common cause of chronic diarrhea. Approximately 20% of patients on antiretroviral therapy report experiencing diarrhea, according to a study published by University of North TX System College of Pharmacy in 2016. Napo is continuing development of Mytesi for other anti-diarrhea indications, with investigational studies completed in irritable bowel syndrome, cholera, traveler’s diarrhea, and in pediatric patients, as well as two planned investigator-initiated trials of the product in breast cancer patients suffering from CID and funded by Genentech-Roche and Puma Biotechnology. Diarrhea is the most common adverse event reported from IV chemotherapy agents, especially for the treatment of colorectal and gastric cancers, and from newer oral agents, such as epidermal growth factor receptor (EGFR), tyrosine kinase inhibitors and EGFR monoclonal antibodies for the treatment of breast, lung, and other malignancies. In addition to Mytesi’s current indication for diarrhea in HIV/AIDS patients, Ms. Conte suggests Mytesi has the potential to access substantial markets worldwide as the company continues development for irritable bowel syndrome-diarrhea, CID and diarrhea in pediatric patients. According to life sciences commercial intelligence firm Evaluate, the U.S. irritable bowel syndrome and inflammatory bowel disease market alone is expected to rise to $6.7-billion by 2019 from $5-billion in 2014. “There is an economy of scale benefit to the COGS in the manufacture of crofelemer. We are currently manufacturing in a new FDA-approved GMP commercial manufacturing facility for both the human and animal health markets,” she adds. Napo also is seeking geographic partners outside the U.S for Mytesi in order to attract non-dilutive funding for product development in the U.S. Ms. Conte points to regions such as the Middle East and Korea, where there were partnering discussions before Mytesi was approved and where the company is actively seeking opportunities for a deal. In its animal health arm, Jaguar is developing two prescription products – Canalevia for the treatment of various forms of diarrhea in dogs and Equilevia for the treatment of gastric ulcers in high performance horses – and has commercialized a non-prescription product line, Neonorm Calf and Neonorm Foal, to help preweaned dairy calves and foals retain fluid, respectively. Ms. Conte says Jaguar has received a Minor Use in a Major Species (MUMS) designation from the FDA for Canalevia to treat CID in dogs. MUMS is similar to orphan drug status and can lead to conditional approval based on a reasonable expectation of efficacy. The company completed a proof-of-concept study in 2015 to demonstrate Canalevia’s mechanism of action and beneficial effect in treating acute diarrhea in dogs, and expects to release pivotal top-line efficacy data by the end of March for this indication. “We’re aiming to have the product on the market by the end of this year,” she adds. For the general companion animal population, globally, Jaguar at the end of January entered a global collaboration with Eli Lilly’s Elanco unit for the development and co-promotion of Canalevia for acute and chronic diarrhea. In addition to an upfront payment, Jaguar is eligible to receive milestone payments in an aggregate amount of up to $61-million payable throughout the term of the agreement, with all of its Canalevia expenses paid retroactively to last October. Jaguar retains the MUMS indications and would be reimbursed to promote Canalevia in the U.S.
“The commercial launch for acute diarrhea is expected in early 2018,” Ms. Conte suggests, adding that a second-generation chew product for ease of chronic administration is under development. According to Ms. Conte, the largest potential market opportunity in Jaguar’s pipeline is an ulcer drug, Equilevia, for equine athletes. It is another equine-friendly, sustainably-harvested pharmaceutical formulation of a botanical extract from the Croton lechleri tree in South America. There are an estimated four million high performance horses in the U.S. and seven million worldwide, with an 87% incidence of squamous and glandular gastric ulcers. There is no FDA-approved treatment for glandular ulcers. In a proof-of-concept study last year, Equilevia demonstrated a statistically significant improvement in glandular ulcerations, compared with placebo. Jaguar expects to release results from a dose determination study for equine ulcers in the first quarter of this year. “A distinguishing feature of Equilevia is no requirement for treatment withdrawal prior to racing,” Ms. Conte says, noting that an existing chronic treatment for squamous ulcers must be withdrawn from the animal three days before racing. While the dose determination data is still blinded, “we were able to observe racing results during the study and, no matter how you look at, whether it was compared with previous results; win, place or show; or dollar winnings, horses on treatment with Equilevia performed better than placebo,” she adds.